Vibrant green spring leaves hang overhead and the scent of jasmine wafts gently by in Plovdiv’s old town. We’re here in April and it is fair to say that spring has sprung. Traditionally Bulgarians will exchange red and white threads woven into bracelets during martenitsa. These are worn until the first stork or blossoming tree is seen, at which point the wearer removes their matenitsi and ties it to the nearest blossom bearing tree to mark the start of spring. These can be seen hanging from branches all over Bulgaria and add even more colour to the already green cities. As you might have guessed already, we’re going to recommend spring (late March/April). Bulgaria has some exceptionally green cities with plenty of parks to visit but also has fantastic mountain ranges for hiking and other outdoor pursuits (i.e. paragliding). Ski fans will be pleased to know that it may even be possible to still find skiable snow in the mountains at this time of year, though it will be starting to melt so check before you book. We’ve been to Bulgaria a couple of times, always in the spring. The reason being the it is getting hot but it is still not so hot that you can’t spend the day exploring and getting lost. 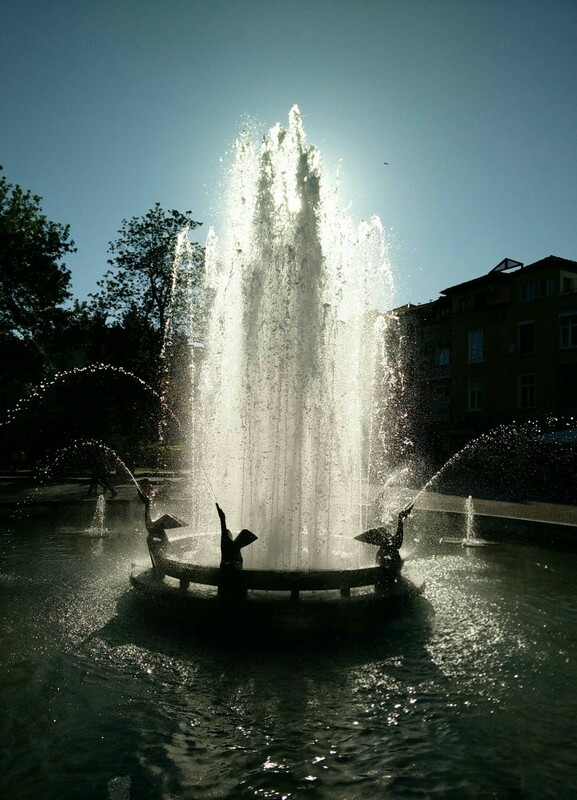 Plovdiv is a large city and we’d say that buses are probably your best option. Don’t forget that buying a ticket isn’t enough, you must validate the ticket otherwise you could be fined (as we found out!). Taxis are also an option if budget isn’t such an issue. They’re still relatively well priced and there are a few handy “Uber” style apps out there that can help you get around. Language can be a problem here though so make sure you can either pronounce where you’re going correctly or have the address saved in your phone. If, on the other hand, you happen to be staying somewhere fairly close to the city centre, walking is a viable option. Just be sure to pick up a free map from the tourist information office. 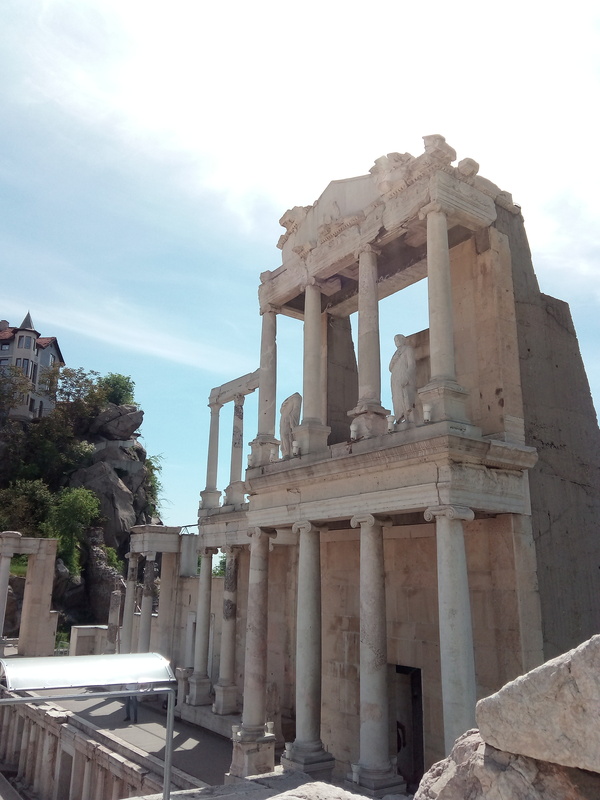 Plovdiv has a beautiful Old Town which has to be seen. However, for our money, we would have to say check out the creative district. Walking distance from the main town centre and old town, you can easily get there by foot (once in the city centre) and you’ll be spoilt for choice with restaurants, bars and small galleries. 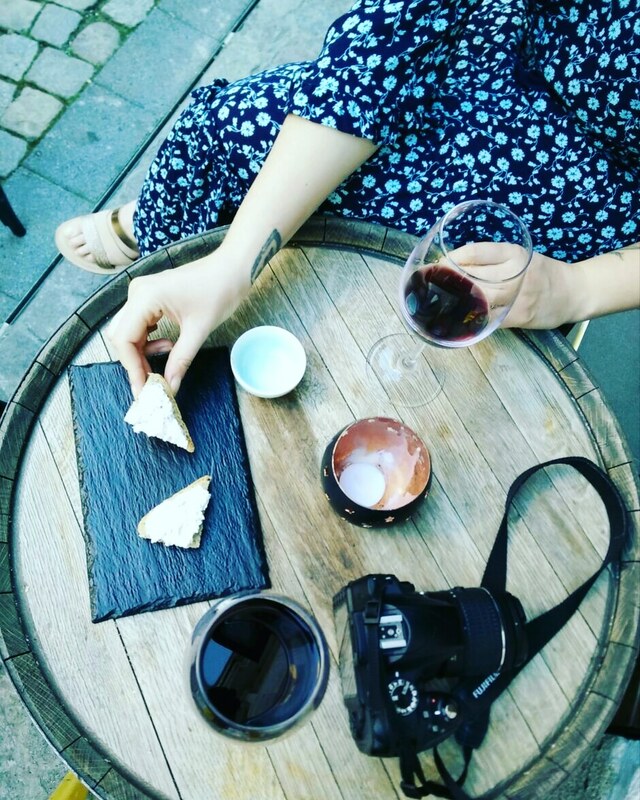 Bendida, a family run wine bar where the mother and son sell the wine that the father and daughter make. The wine is truly excellent, both mother and son are lovely and the prices are not ridiculous for their delicious, hand labelled, local wines. Take a seat outside with a glass and do a little people watching in a bustling part of town. We actually haven’t had a meal out in Plovdiv. Trying to save a little cash we booked an AirBnB on the edge of the town centre with a kitchen and popped to the supermarket to get supplies for our meals. However, having forgotten our sandwiches today, we can say that you won’t break the bank grabbing a slice of pizza when you need a snack. Pizza seems to be more popular here than in Italy and it is almost impossible to get anywhere without passing somewhere selling delicious pizza by the slice, so fear not hungry wanderers. As mentioned, we’ve gone the AirBnB route. Those following our previous blogs will know that this wasn’t the smoothest experience, but we have a place to stay now and a kitchen for food. If you plan to eat out a highly recommended option is Hostel Old Town. Unsurprisingly located slap bang in the middle of Old Town, this is cheap and has a host of awards from TripAdvisor and Lonely Planet. Beware, the streets in Bulgaria in general are not brilliant and the cobbles in Old Town are not going to be much fun for those with wheeled suitcases. This has been our first time in Plovdiv and we can honestly say that we have loved it. The city centre is compact with lots to see and do so you can easily spend hours on end walking around and happening upon interesting galleries, live music venues, museums and ancient Roman ruins to name but a few things here. Next Post Could the Perfect Shot Ruin your Perfect Trip?